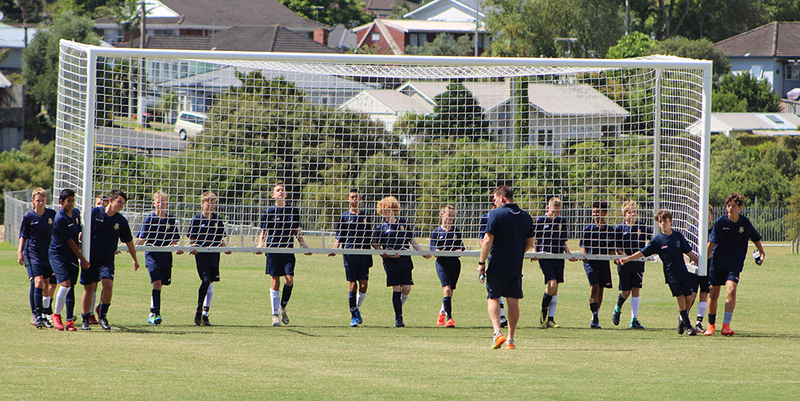 In a major coup for MAGS Football Academy, a team will travel to Australia to play the Melbourne Victory’s Youth side at Easter. 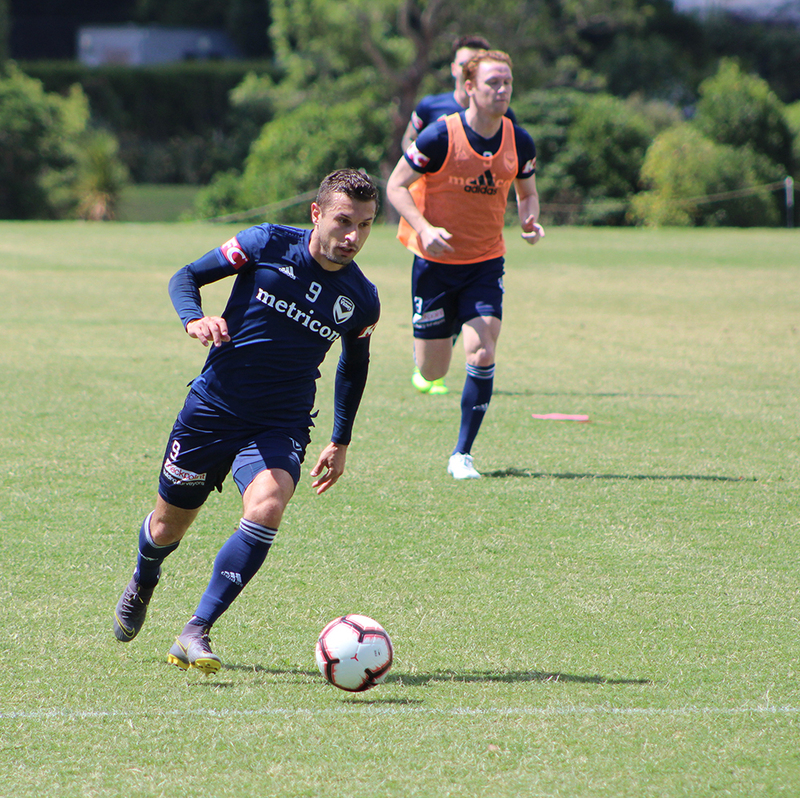 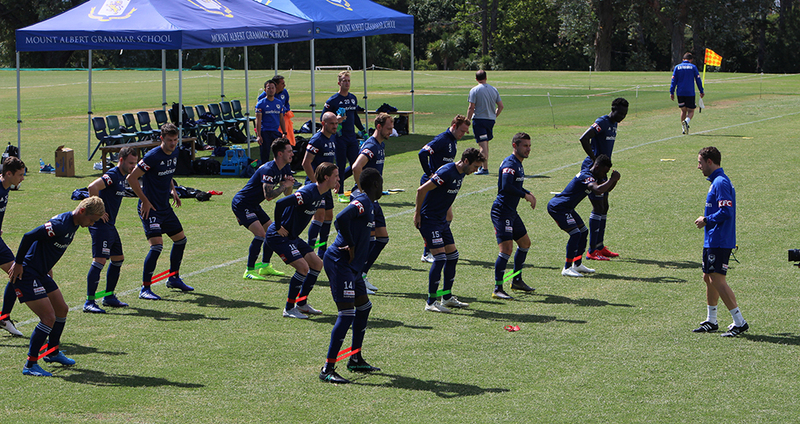 As part of building a relationship with the Victory, the most successful side in the history of the A-League, MAGS hosted the team’s training run today before they take on the Wellington Phoenix at Eden Park tomorrow night. 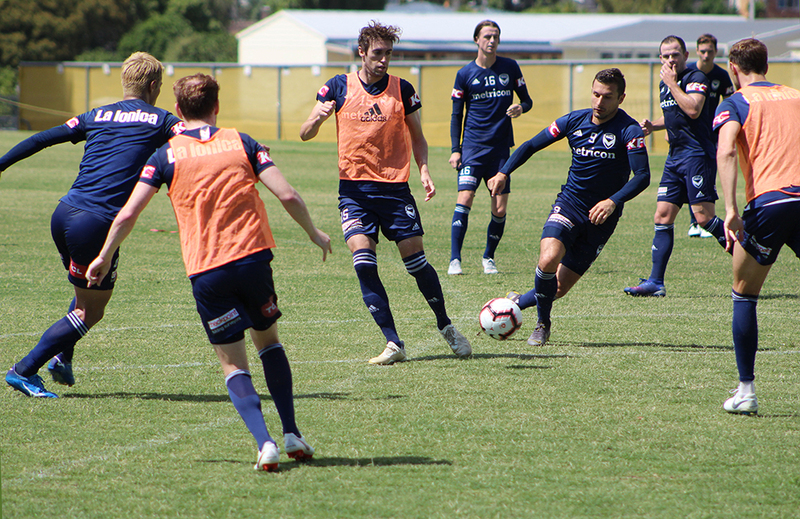 Director of Football Peter Smith has connections with some of the Victory staff and is hoping to build on that relationship to provide another Football pathway for MAGS’ promising players. 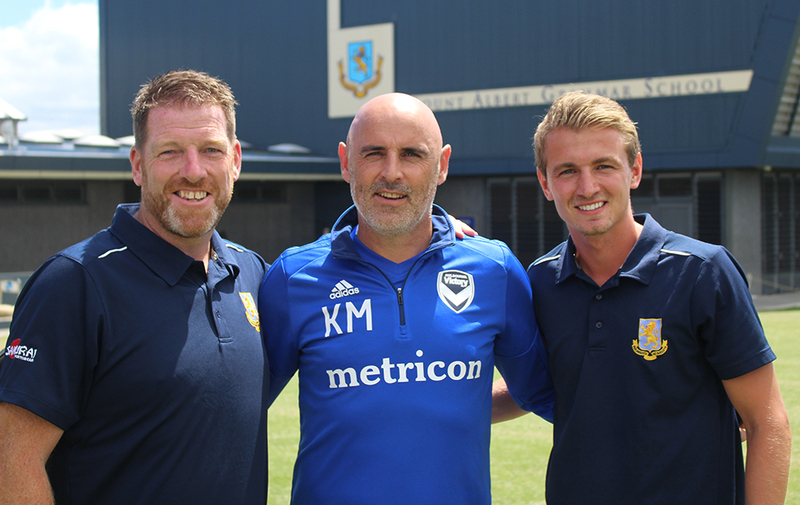 Victory coach Kevin Muscat (pictured above with Mr Smith, at left, and Girls First XI Coach Rudy Mozr) said the visit by the MAGS Football Academy team – Year 9 and 10 Boys from last year – was the first time they had hosted a NZ school side. 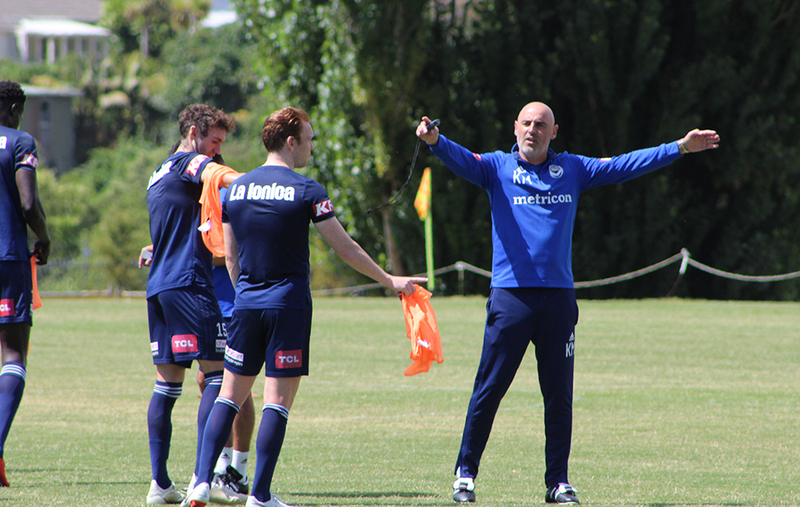 He said the Victory had just started its Youth development, with players from about age 15 being brought into the club’s system, and they were looking to expand that to younger players who showed promise. 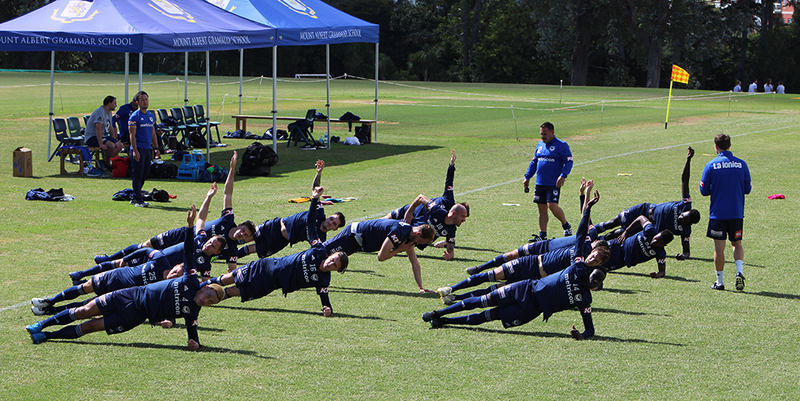 At today’s training run, the team worked through some light drills and a short game on the Sir B.G. 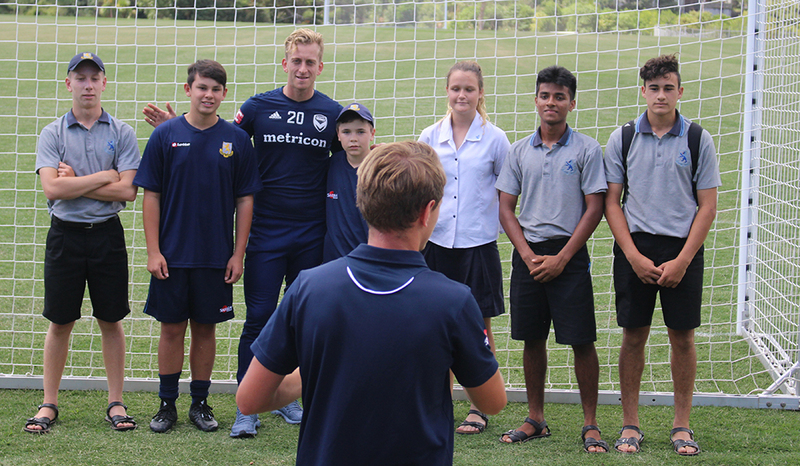 Williams Field – for a change marked out as a Football pitch complete with goals – as the Football Academy members watched on. 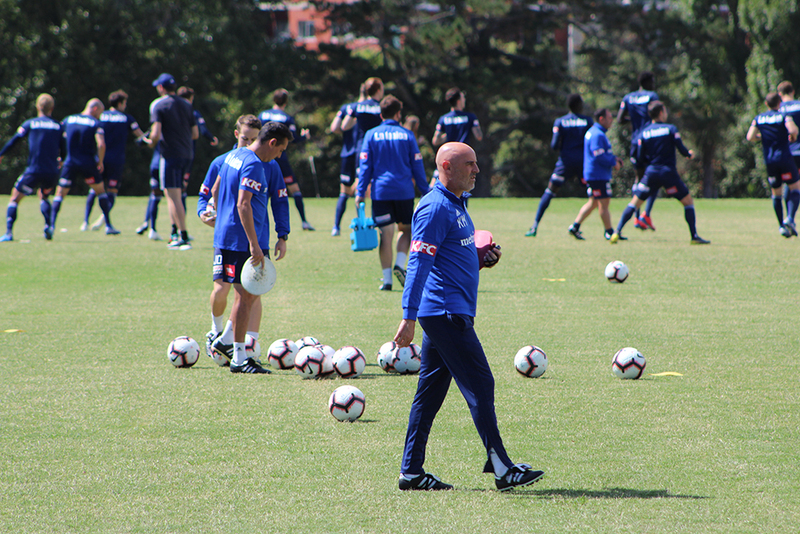 Mr Smith said it was a great opportunity for young players to see how professionals trained and prepared for a game, and should inspire them to work harder and aim higher. 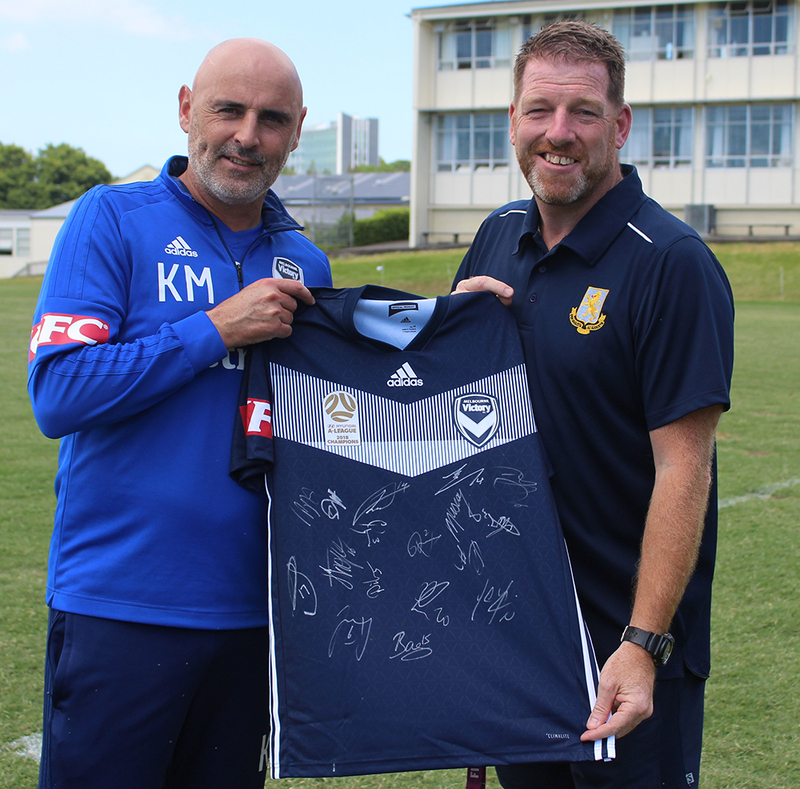 Mr Muscat also presented Mr Smith with a signed Victory shirt as a thank you for hosting the side. 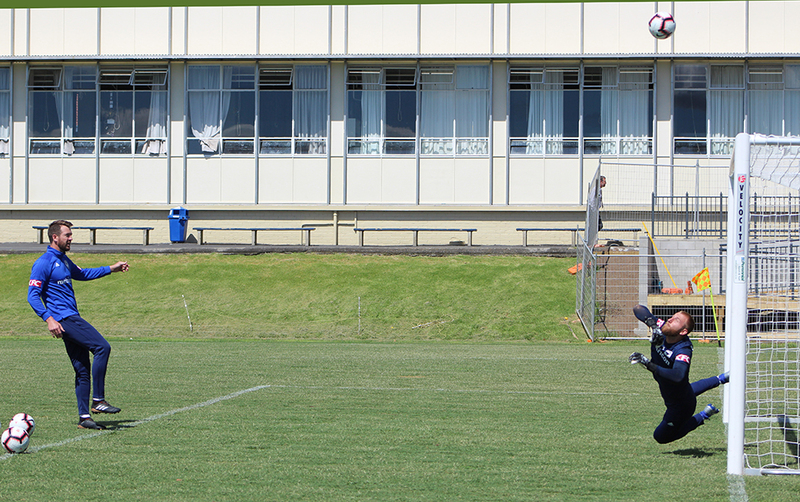 +64 9 846 2044 / [email protected]z / Alberton Avenue, Mount Albert, Auckland 1025.